Each pack contains five Caramel Hard Candies. 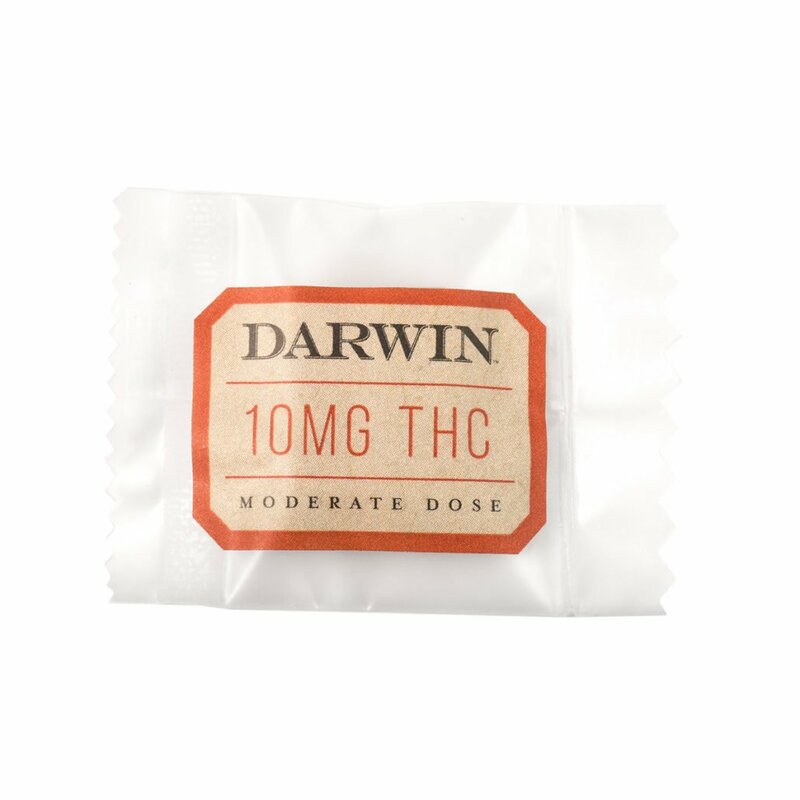 For precise, homogenous infusion, Darwin’s strict production process ensures you get the exact dose, every time. 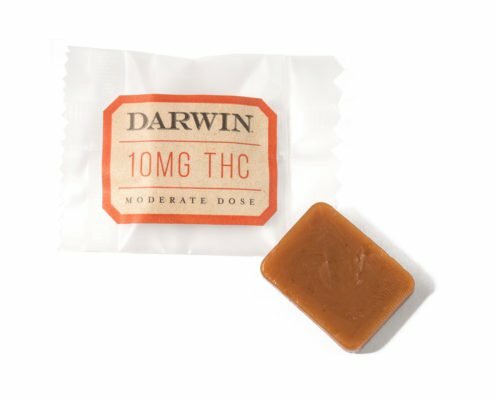 Say goodbye to hand-infused or sprayed candies where THC percentages can vary significantly. 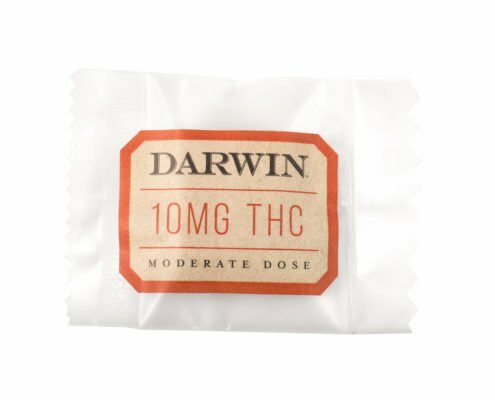 These candies can be taken on the go. 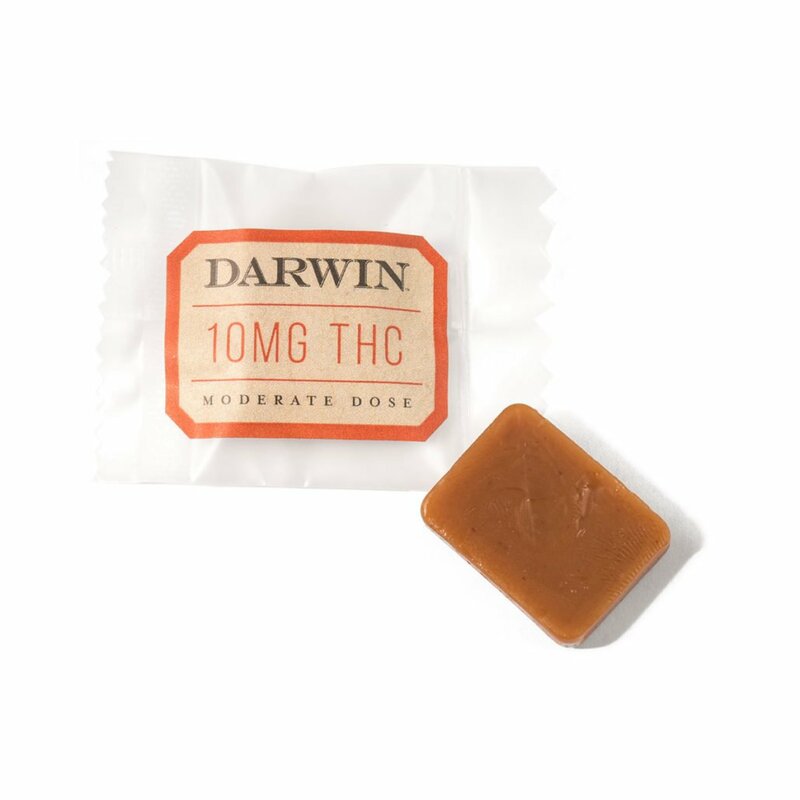 Given they are infused with Darwin’s triple-distilled, CO2-extracted cannabis oil, you can relish the delicious, smooth and buttery taste. 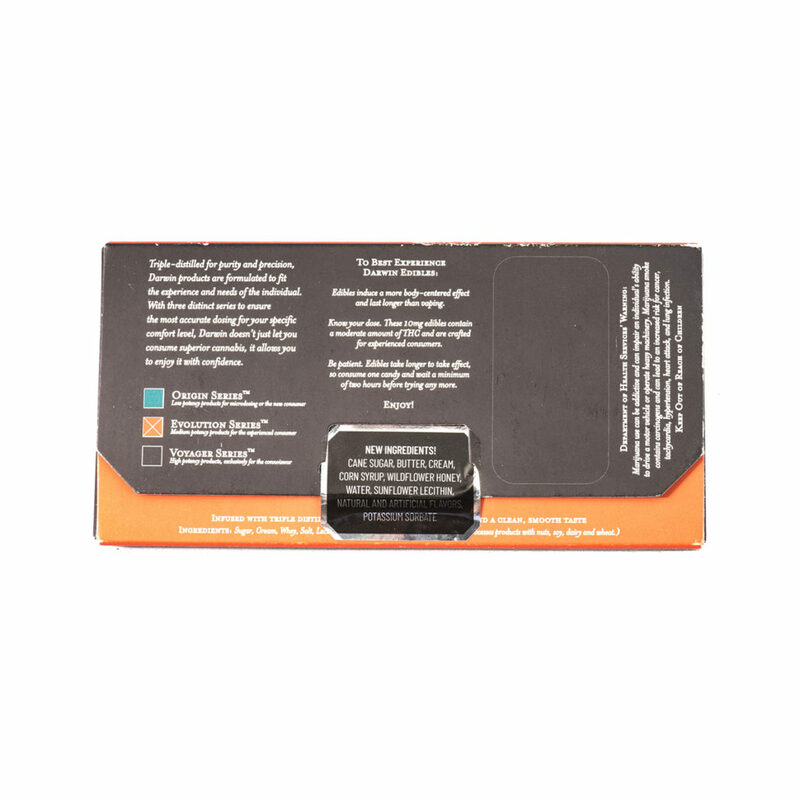 The rich texture allows you to savor your experience while benefiting from the oral absorption of cannabinoids. Cream is an ingredient often used in baking and other recipes that incorporate oil and water together to form a tasty end-product. It is technically an oil-in-water emulsion, with fat suspended as tiny droplets in the water phase of the milk. Because it is aqueous and contains a high fat content, it has interesting properties, allowing it to dissolve limited amounts of oil as well as be soluble in water. 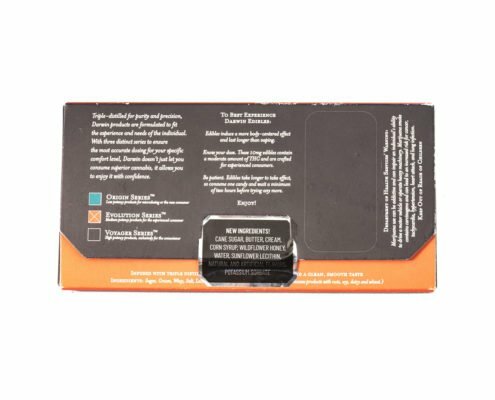 In addition, butter provides a medium that solubilizes our triple-distilled cannabis oil, keeping it infused in the candy. 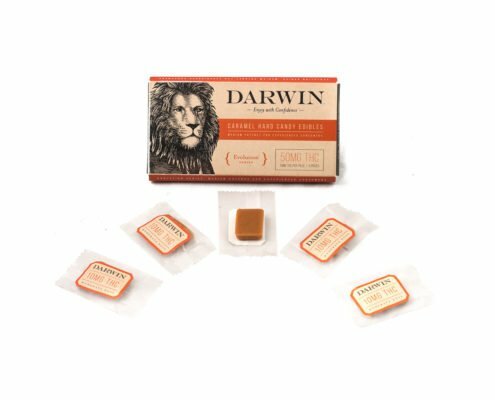 By creating a caramel that uses real cream and sweet butter, we can ensure precise dosing, deliciously delivered every time. 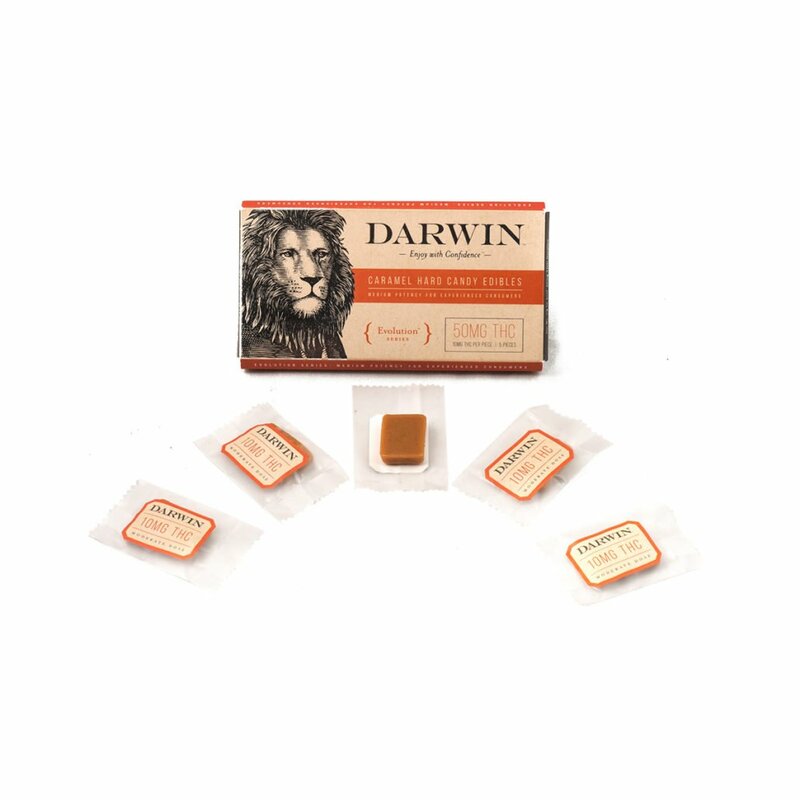 Honey is used as a secondary source of sweetness in our caramel candies. It not only cuts down on the amount of sugar, but is also a rich source of many nutrients, including flavonoids, polyphenols, vitamins and minerals. For a richness hailing from our home state, we source our honey from mesquite and desert wildflowers growing naturally in Arizona’s Sonoran desert.